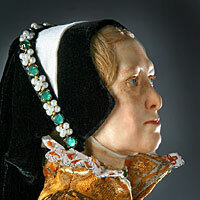 Mary I was Queen of England from 1553 until her death. 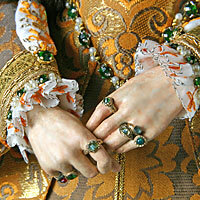 She was a cousin, once removed, of Mary, Queen of Scots. Mary is remembered for temporarily reversing the English Reformation and returning England to roman Catholicism. To this end, she had hundreds of religious dissenters executed, earning her the name Bloody Mary. Her plan to remove her half-sister Elizabeth from the line of succession failed when Mary’s marriage to Philip II of Spain produced no offspring. 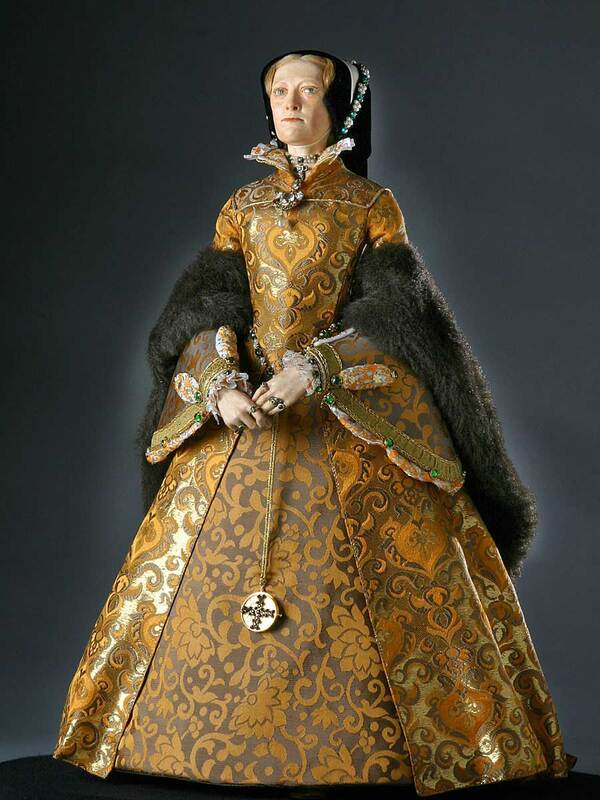 Her religious policies, however, were mostly reversed by her successor, Elizabeth I. 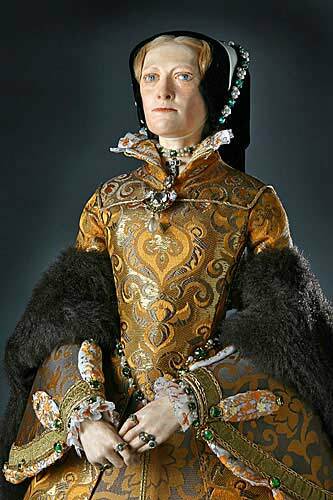 An Historical Figure of England, Tudor Dynasty.